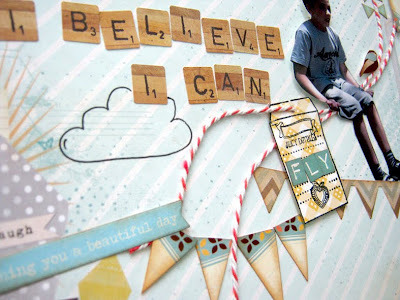 scrappin it: Maximize your supplies - Use your scraps! Maximize your supplies - Use your scraps! Use your scraps! It's good for the environment, it's good for the pocket and it's good for the soul (because it's less clutter....). Here's a layout I created from scraps and left over materials. 1. When you use leftover materials, the biggest problem will probably be the letters. Some of them were already used and you have to use what you have or mix up a few types of letters. This is why I started this layout from the title. When I was sure I had a fun title I picked my paper and my photo. 2. Pick a paper that has a theme or build in embellishments, this way you will not have to add a lot of extra stuff. 3. 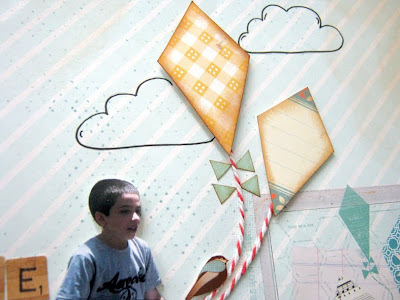 I picked a paper with kites and continued from there. I found a photo of my boy sitting down and cut it. I cut two kites from paper scraps and added twine. I placed the photo as if my boy is sitting on the kites' tails. 4. 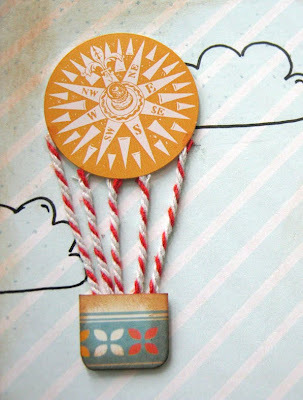 I added a balloon made from a round sticker and pieces of twine. I cut the basket from a scrap of paper. I also added flags I cut from scraps of paper. For a final touch I drew some clouds with a black pen. 5. 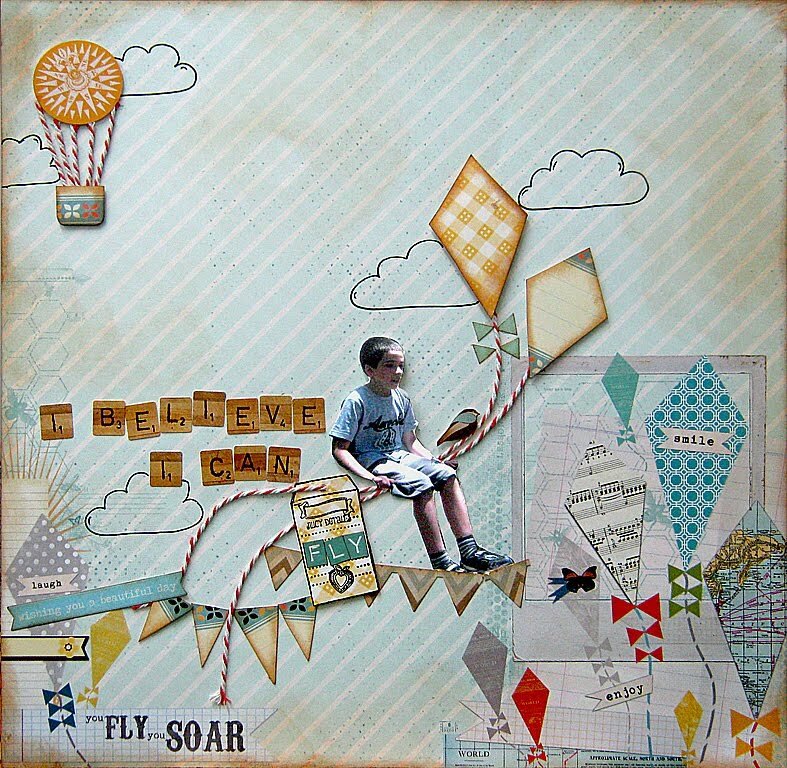 I added the title and a little distress ink around the edges. 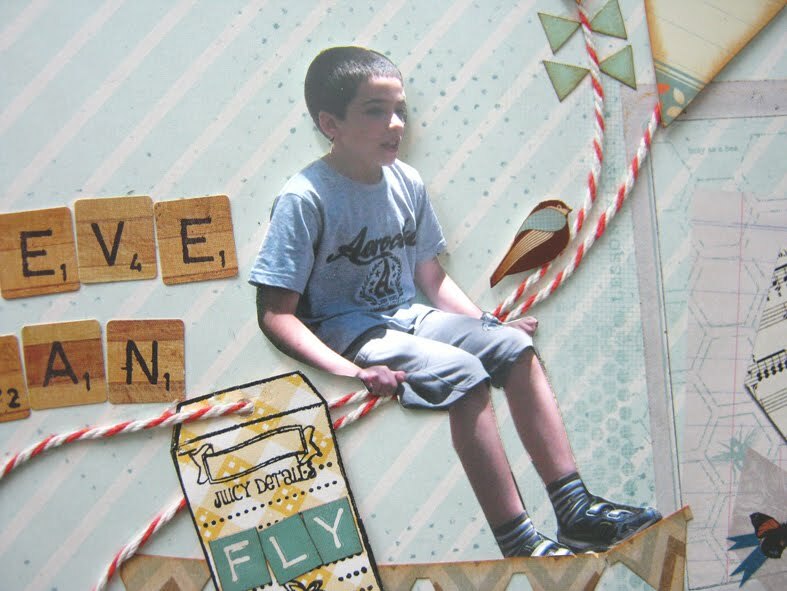 Use your scraps to create embellishments so you can save money and energy to tidy it up!